Weekend brunch is supposed to be a time to share a meal with family and friends. Kick back with our make-ahead Cheesy Chorizo and Egg Casserole - preparing this casserole the day before ensures effortless entertaining! Heat oven to 350ºF. Bake casserole (covered) 50 min. or until knife inserted in centre comes out clean, uncovering for the last 20 min. 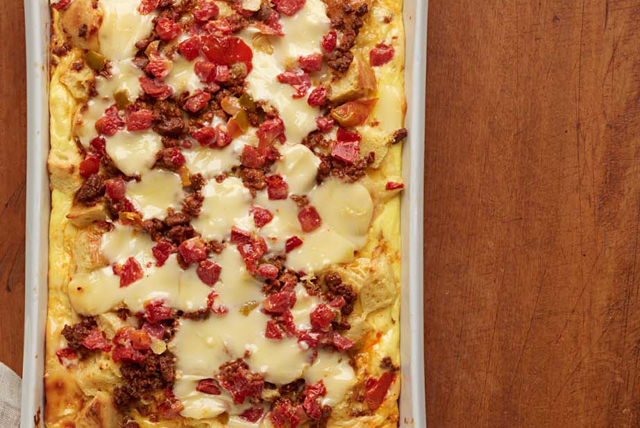 Wake up to our Cheesy Chorizo and Egg Casserole for a special Saturday morning treat! Serve with fresh fruit to round out the meal. Substitute breakfast pork sausage for the Mexican chorizo.